Soft touch grip with comfortable silicone handle giving great grip while blow drying. 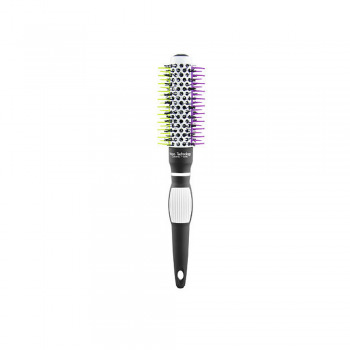 Silicone bristles penertrate deep in to the hair root providing greater lift and shorter dryer and styling times. These brushes are ideal for all hair types.